FADY JAY, the youngest child of Peter Jay and Mary Van Courtland Jay, was born two years after the birth of hIs older brother John. FREDERICK JAY(pj3/9), Peter and Mary Jay’s ninth child, was born and raised on the Rye farm. He followed his father’s profession and became a merchant. 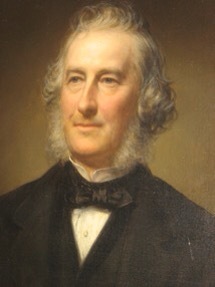 His first marriage was to Margaret Barclay, whose father was rector of St Peters church in Albany. She descended from the De Lancey family who were the political opposing group to the Livingston’s, and in New York were opposed to the Revolutionary movement. 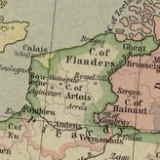 Frederick (Fady) was locally active during the time of the revolution. 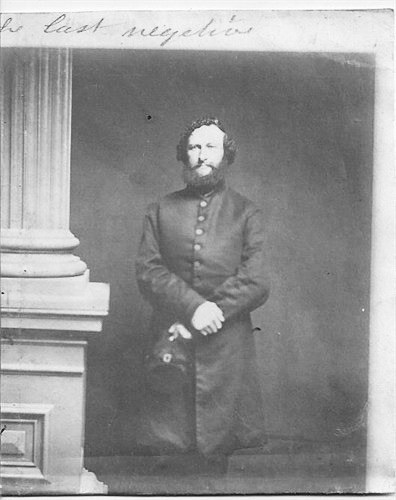 He served on the Committee for Safety for Rye, and was a member of the New York Battalion of Independent Foot Companies, known as “The Corsicans”. From 1777 to 1783 he was a member of the Assembly from New York. During the Revolution, when Rye was “no man’s land” he moved his parents and family from Rye to Fishkill to stay with him. His first wife died in 1791 after he had returned to New York. They had no children. He remarried the niece of brother “Blind” Peters wife Euphemia Dunscomb. He was probably buried in the family plot in the Bowery. There is less information on his life than the other children. He played a leading family role during the Revolution period 1776 to 1783, when he became responsible for his mother and father and older sisters and brothers when Rye became very dangerous for them to live in and he needed to move them to a safer spot. His older brother John at this time was with his wife Sarah in Spain. Their oldest son Peter Augustus had been left with both Livingston and Jay grandparents. Frederick Jay (1747–1799), the younger brother of John Jay, served a mercantile apprenticeship to his cousin James Abraham De Peyster, a New York city merchant, including a stint as De Peyster’s agent in the Dutch East Indies. After further experience in trade in Curaçao, he opened a mercantile firm in New York in 1773. Before the Revolution he had been trained as a merchant and first worked in New York City with his cousin, and then in 1773 opened his own company. It was also in 1773 that he married Margaret (Polly) Barclay. New York City was captured by the British in 1777 and he and his wife were forced to leave. In a letter to his brother John in 1777 sent from Fishkill, he talks about being in Kent, CT to find a place for the family. John and Sarah had just had their first child Peter Augustus Jay that would be left with his grandparents while the Jay’s were sent to Spain and then Paris. Fish Kill, 18th July, 1777. Dear John: Both your letters are come to hand—I have been to Kent & provided Accommodations for the Family in case of a retreat. I have done every thing in my power to get your Books removed, but in vain; not a waggon or Cart to be hired at any rate, the People here being busy in their Harvests. I shall speak to Coll. Hughes to day for two Continental teams; if he has them, I make no doubt he ’ll be ready to assist us.—The peas are not yet come to hand. The Family as usual, except Peggy who has been ill with a fever ever since you left us, which is the reason of my not writing to you sooner. Genl. Sullivan with 2000 Continental Troops are now encamped in the Town of Fishkill; this affair makes the old Gentleman imagine that the Enemy will certainly attempt the River. I could wish he was as easy about the matter as myself—Mr. Platt of Kent informs me that there is a Farm of about 160 Acres with a Comfortable House to be sold near him for about £700, Lawful [money]. Would it not be better to purchase it than have the family in different houses; had I the money of my own, the farm should be mine. The old Gentleman I believe would soon come into the measure if you was to give him only a hint about it. I am Your Afft. Brother Fred Jay. 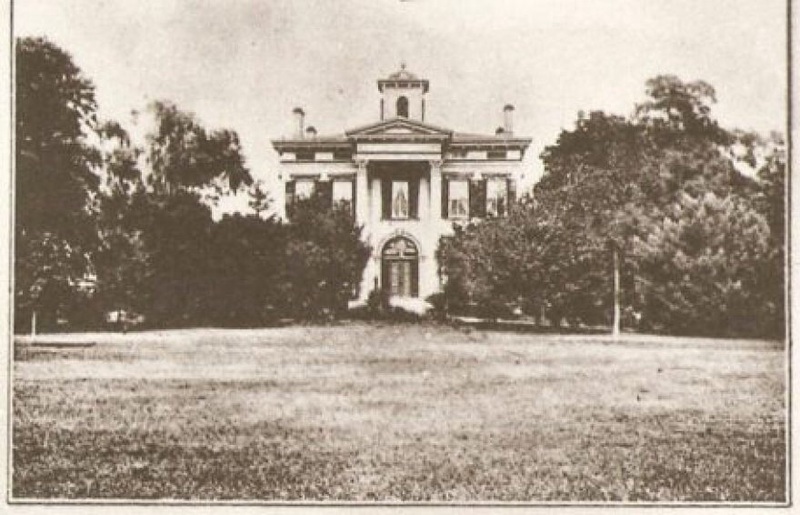 Fishkill was chosen as the initial place for the family to escape to and they were given room in the house owned by Theodore Van Wyck. In a letter to John he expresses his dismay at being then forced to move to Kent and very worried about the cost of such a move. Fish Kill, 29 July, 1777. Dear Johnny, I have received your letter of the 21 Inst:—The evacuation of Ticonderoga is very alarming; I wish it may soon be made to appear in a less gloomy light. Hitherto Fady has not been able to succeed in providing waggons to remove your Books to Kent.—My thoughts have been much imployed of late about removing from hence in case of need, but the more I consider of it the more I am perplexd., for my present state of health admits of my undergoing no fatigue. Besides I conceive my going to Kent will be attended with an immense expence, for there I can hire no Farm to raise necessarys for my numerous Family, but must lodge them in different Houses and buy daily food &c for them, I suppose at the same exorbitant rate that is extorted from the distressed in other parts of the Country; so that unless I can get a Farm in order to raise so much as will in some measure answer the expence of the Necessarys of life, I am very apprehensive it will have too great a tendency to our ruin, for we may long continue in our present distressed situation before a Peace takes place. I am indeed at a loss what steps to take and therefore I could wish you were nearer at hand to consult with you and Fady what to do. Hitherto my present abode appears to me as safe as elsewhere, and it may be most prudent to continue here till we know what rout the Regulars take & their success if any they have; but in the mean time it may be best to remove some of my most valuable things by way of precaution, which we’ll consider of when you come here. If we can purchase another Waggon it shall be done. Johnny Strang was here about a fortnight or three weeks ago when we was expectg. the Regulars were about coming up the River; he then proposed to send a box or two he has of yours at his Father’s to Salem, and promised to remove them from there in case of need & said he would be very careful of them. Nancy is now unwell & Peggy is very sick with an intermitting fever ever since her return from Albany. I am yr. affecte. Father Peter Jay. They all stayed with Theodorus almost two years in his house near Fishkill. Notes from Van Voorhis Book: _Born 1702_ _Lived in the old stone house down the lane at Swartoutville._ _Col. John Brinckerhoff. A promiment [sic] citizen of the colonies prior to the Revolution. He joined the American Army. A soldier & a patriot. He was the intimate friend of General Washington. His confidential adviser during the dark days of the War for Independence. His home was the head‑quarters of Gen Washington. Who spent a night & day there in secret correspondence with Comt_ Rochambeau the French minister. The time of the anxiety respecting the arrest of Major Andre. As soon as the darkness of the second night shielded them from observation; they departed upon horses. Through the Highlands. in time to arrest the ‑‑British Spy The Brinckerhoff house erected 1738. Was torn down. 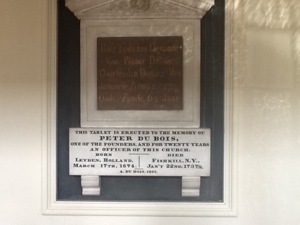 Dr. Doros Van Wyck made it his home with his father-in-law, Co., John Brinckerhoff.During the Revolution, it was occupied jointly with the Jay family, including the distinguished partriot, Governor and Chief Justice John Jay. It was from this home that John Jay set off on his mission to France to aid in negotiating the Treaty of Peace with England. It is hard to recognize now how difficult their life must have been. The revolt against England created extreme contrasts in living in the East. For those supportive of the Revolution, New York City had become dangerous for their lives. Fady had a growing merchant business which had to be left. Rye was in between the patriots and revolutionaries. Gangs of “Cowboys” and “Skinners” prowled the area and stole pillaged and burned whatever they wanted. The stable farm of Peter Jay had become an unsafe area to be in, and the provisions from the farm would end. Meanwhile the Revolution was on. The British had badly defeated the American forces on Brooklyn and had taken control of New York City. They had ships in the river and were on the verge of taking control of the Hudson from New York to Albany. Washington was fighting with a rag time untrained group. His basic strategy soon became to run and try and win fast battles. The dependency on British currency had ended and a new system of Banking was long off. Luckily for the Jays the troops and battles moved South and the military connection between New York and Albany did not happen. Also the large British force moving down Lake Champlain toward Albany died in Saratoga. Fishkill was reasonably safe, in fact for a period it was the Capitol of New York State. What Fady was doing during this time we have little information. He unlike his brother wrote few letters, which JJ complained about. Theodorus VanWyck had married the widow of Petrus Du Bois, my GGG Grandfather, Mary Coert Voorhes (Du Bois). I am descended from the youngest child of Petrus and Mary, Cornelius who moved to New York City and became a very successful merchant. Mary Van Courtland Jay was very ill at the time of the move from Rye and she died in Fishkill in 1777. She was buried in the vault of Gysbert Schneck. In April of 1781 the family were robbed of all their possessions from the Fishkill house. This event was very disconcerting to father Peter and because of it Faddy decided to move the family to Poughkeepsie. It was in Poughkeepsie in 1782 that father Peter Jay died and he was also interred in the vault of Gysbert Schneck. We are still looking for the location of this vault!! With the death of Peter, “Blind” Peter inherited the Rye house. It must have been soon after this that the family decided they could leave Poughkeepsie and move back to Rye. By 1783 the British had left New York City and it had become the Capitol of the new Union. At the time of his father’s death in 1782 he inherited the Rye property. He lived in the house with his “retarded” older brother Augustus, his sister Eve Munro and her small child, and his blind sister Anna Maricka. To help him with the care of this family a happy marriage was arranged with Mary Duyckinck in 1789, when he was 55 and she was 53 years old. 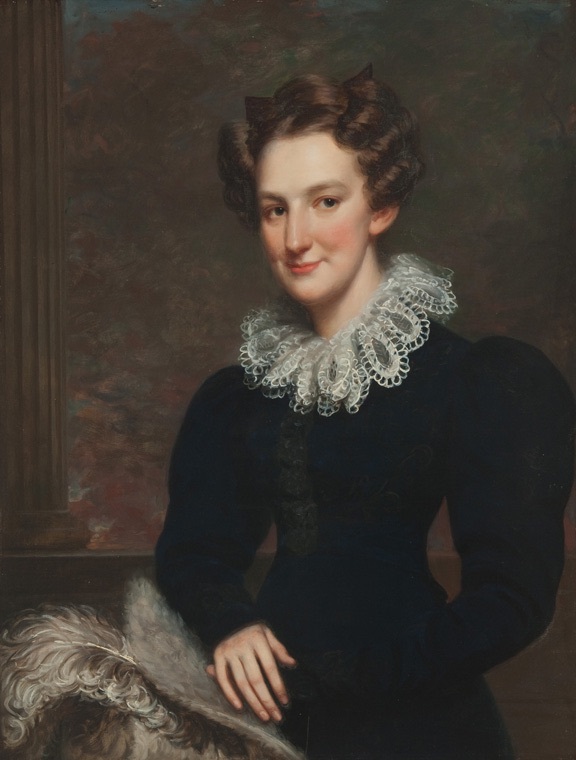 She was descended from a noted portrait painter and apparently was the original of the “aunt” in the spy story written by George Fenimore Cooper. In fact she was referred to as “Aunt Jay” in Coopers letters. 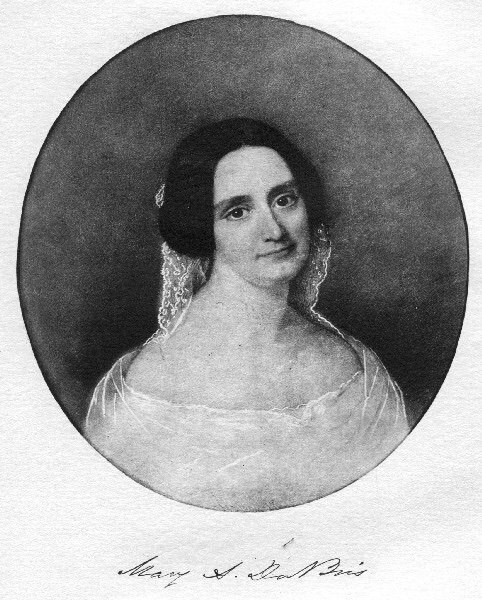 Eve Jay Munro, after the Revolution left Albany and moved with her son Peter Jay Munro back to Rye and lived with Peter et al. She was difficult for the family and John and Sarah took over the care of her son. He became a successful lawyer in New York. John and Sarah Jay had moved back to New York City. 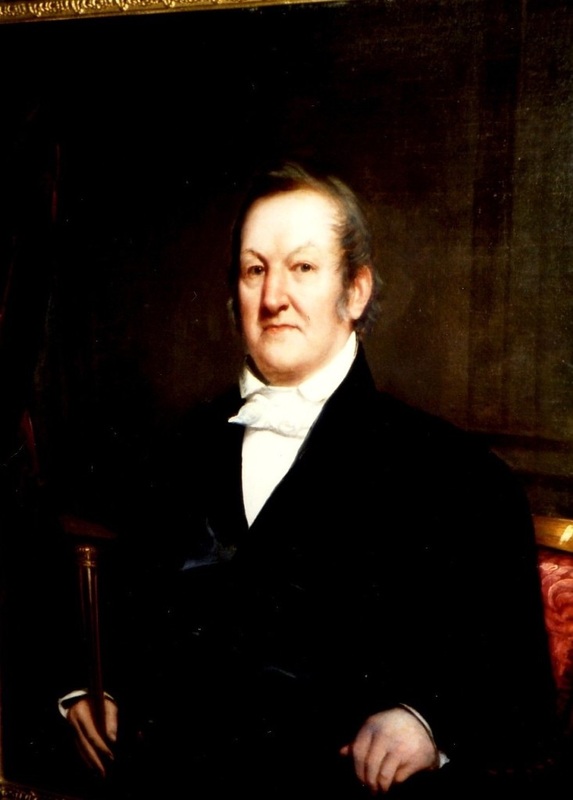 He had inherited land from his mother’s family in Katonah which became the site of his retirement home into which they moved in 1803 when he had ended his second term as Governor. In 1783 he was Secretary for Foreign Affairs and in 1789 became the first Chief Justice of the Supreme Court. In 1795 he was elected Governor of the State of New York and moved to the Governors House in NYC and then in his second term moved to Albany. Fady and his wife Polly Barclay also moved back to New York City. At the time of his fathers death Fady had inherited property in East Bay and they probably lived at 64 Pearl Street. Polly died in 1791 suddenly of a “stroke”. Her unanticipated death was very sudden and a matter of concern to all. Sir James had been sent for but arrived after she had died. In 1794 he married Euphame Dunscomb, the first cousin of his brother Peters wife. Letters from Sarah Jay show that this was not an “approved” marriage! Fady died in 1799 at age 52 and was probably buried in the family vault. His second wife lived until 1817 and was buried in the Jay Cemetery. This entry was posted in Jay Family History, Jay Heritage Center and tagged Fishkill, Jay Family, Revolution on August 10, 2014 by jsdubois28.